American and Canadian collision repair markets are already oversaturated, and new advances in vehicle technology and materials will force some shops out of business, a Mitchell expert estimated in a frank Q&A session Thursday. 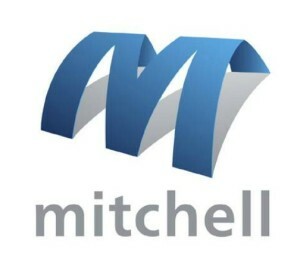 During a webinar on Mitchell’s 2014 trends report, Vice President Greg Horn also had revealing answers on if Mitchell keeps two sets of repair guidebooks and differences between American and Canadian labor rates in the last three years. Some smaller shops will probably have to go “niche” — classic models, for example — to survive, he said. Earlier in the Q&A, he didn’t have an answer for on how shops could recoup their training and equipment costs to work on more advanced vehicles. “That is a tough one,” he said. He also raised an interesting point about the F-150 — its likely high demand from farmers, whose rural areas’ body shops might be the least equipped to handle it. He noted that aluminum Audis in rural areas ended up being “trailered” to other shop, which adds more cost to the customer’s bill, and this would “probably” happen with F-150s. That’s pretty bleak, but it actually suggests a lucrative opportunity for those rural shops. Explain to a bank what being aluminum-ready means in Ford business for a loan to upgrade, and then corner the market. It also begs the question of if those rural farmers will switch allegiances to trucks that can be repaired locally. Taking a question on if Mitchell produced different repair data for auto body shops and insurers, Horn said it didn’t. “Rest assured, it is one labor rate guide,” Horn said. He said that Mitchell’s competitors used to do separate ones, but he didn’t know what their current practices were. He said that Mitchell labor times stayed the same for the life of the service, too. One bit of confusion might come from those consulting the assembly time guide on installing salvage parts. Those stats are occasionally different. Asked about why Canadian and American estimates from Mitchell were different, he said it was because Canadians had higher labor rates and larger usage of OEM parts. Horn was also asked about the “Anderson Cooper 360” report on insurance collision repair practices. He said he hadn’t seen it — he was on a plane — but it was in his DVR.